Financial technology- Fintech plays a key role in the rapidly evolving payment scenario. Fintech companies provide improved solutions that affect consumer behavior and facilitate widespread change in the banking sector. Changes in data management pertaining to the payment industry is occurring at a fast pace. Cloud-based solution and API technology (Application Programming Interfaces) has played a major role in boosting the start-up sector of online payment providers like PayPal and Stripe. As cited in a recent PwC report over 95% of traditional bankers are exploring different kinds of partnerships with Fintechs. Interpreting consumers’ spending behavior has enhanced payment and data security. Credit risk modeling help card providers identify fraudulent activities. The validity of a transaction can be checked using the GPS system in mobile phones. McKinsey, the consulting firm has identified that the banking sector can benefit the most from the better use of consumer and market data. Technological advancements have led to the ease of analyzing vast data sets to uncover hidden patterns and trends. This smart data management system helps banks create more efficient and client-centric solutions. This will help banks to optimize their internal system and add value to their business relationship with customers. Over the past two years, the digital revolution has created more data than in the previous history of humankind. This data has wide-ranging applications such as the banks opening their credit lines to individuals and institutions with lesser-known credit-score and financial history. It provides insurance and healthcare services to the poor. It also forms the backbone of the budding P2P lending industry which is expected to grow at a compound annual growth rate (CAGR) of 48% year-on-year between 2016 and 2024. The government has channelized the power of digital technologies like big data, cloud computing and advanced analytics to counter frauds and the nuisance of black money. Digital technologies also improve tax administration. Government’s analysis of GST data states that as on December 2017, there were 9.8 million unique GST registrations which are more than the total Indirect Tax registrations under the old system. In future big data will help in promoting financial inclusion which forms the rationale of the digital-first economy drive. 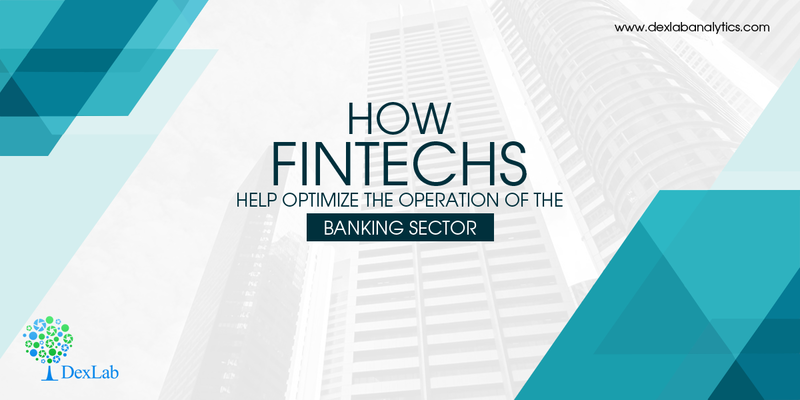 Fintechs apart from simplifying daily banking also aids in the financial empowerment of new strata and players. Domains like cyber security, work flow management and smart contracts are gaining momentum across multiple sectors owing to the Fintech revolution. For example workflow management solution for MSMEs (small and medium enterprises) is empowering the industry which contributes to 30% of the country’s GDP. It also helps in the management of business-critical variables such as working capital, payrolls and vendor payments. Fintechs through their foreign exchange and trade solutions minimizes the time taken for banks to processing letter of credit (LC) for exporters. Similarly digitizing trade documents and regulatory agreements is crucial to find a permanent solution for the straggling export sector. According to the ‘laissez-faire’ theory in economics, the markets which are the least regulated are in fact the best-regulated. This is owing to the fact that regulations are considered as factors hindering innovations. This in turn leads to inefficient allocation of resources and chokes market-driven growth. But considering India’s evolving financial landscape this adage is fast losing its relevance. This is because regulators are themselves becoming innovators. The Government of India has taken multiple steps to keep up with the global trend of innovation-driven business ecosystem. Some state-sponsored initiatives to fuel the innovative mindset of today’s generation are Startup India with an initial corpus of Rs 10,000 crore, Smart India Hackathon for crowd-sourcing ideas of specific problem statements, DRDO Cyber Challenge and India Innovation growth Program. This is what enabled the Indian government to declare that ‘young Indians will not be job seekers but job creators’ at the prestigious World Economic Forum (WEF). IndiaStack is a set of application programming interface (APIs) developed around India’s unique identity project, Aadhaar. It allows governments, businesses, start-ups and developers to utilize a unique digital infrastructure to solve the nation’s problems pertaining to services that are paperless, presence-less and cashless. NITI Ayog, the government’s think tank is developing Indiachain, the country’s largest block chain. Its vision is to reduce frauds, speed up enforcement of contracts, increase transparency of transactions and boost the agricultural economy of the country. There are plans to link Indiachain to IndiaStack and other digital identification databases. As these initiatives start to unfold, India’s digital-first economy dream will soon be realized. Advances in technologies like Retail Analytics and Credit Risk Modeling will take the guesswork and habit out of financial decisions. ‘’Learning’’ apps will not only learn the habit of users but will also engage users to improve their spending and saving decisions. To know more about risk modeling follow Dexlab Analytics and take a look at their credit risk analytics and modeling training course.